There can’t be anybody out there who doesn’t appreciate the water in some form. Thanks to its vast and varied water masses, forces of nature and stunning beauty, the rivers all over SalzburgerLand are highly prized by all those who like a bit of water-based fun. Whether you’re searching for a pure, action-packed, adrenaline-filled experience or some gentle sailing, here are some fantastic tips. Thanks to the enormous offering of water, the challenging river courses and impressive scenery, this sport enjoys a huge following in SalzburgerLand. Especially on the whipping white waters of the Saalach River, where you can shoot through racing rapids and glide by colossal cliffs and through narrow passes. As a result, this expanse of water is incredibly popular, and the die-hard water sports enthusiasts return to its banks year after year after year. Beginners can take classes to learn the necessary techniques and safety on the water. The teams from Motion Center, Base Camp and Outdoor Events Pfannhauser are happy to assist! 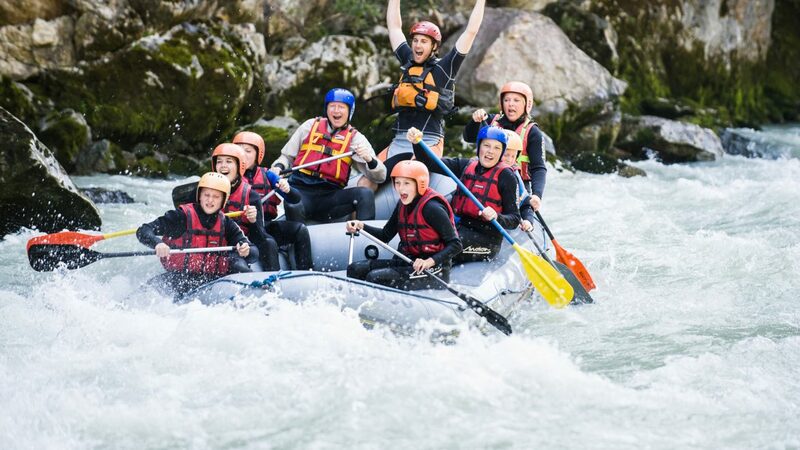 No doubt about it – rafting requires teamwork. When you shoot downstream over wild rapids and through narrow cliffs everybody has to pull their weight to ensure that you keep you don’t fall in! If this sounds like a lot of effort, it is. But it’s also a lot of fun and gets your heart pumping. There’s no better place than on many of SalzburgerLand’s rivers to see what we mean. 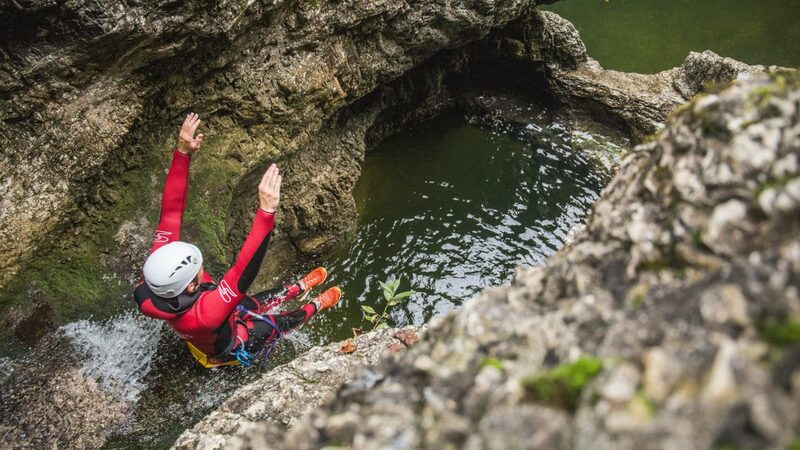 Canyoning gives adrenaline junkies the kick they’re after. Take a 10-metre vertical jump into the ravine, scramble over wet rocks, swim and dive through a dark cave. Professional canyoying guides will ensure you get out of the water safely, so one thing is for sure – never do it without one! Here you find a selection of canyoning, rafting and kayaking schools in SalzburgerLand. Lie on a board and be carried along by the stream’s flowing currents. This sport is great fun, and will push you to your physical limits. Needless to say, you won’t want to be without your helmet, guide, wetsuit and life jacket. In the midst of the most beautiful unspoilt nature and ringed by gentle hills and imposing mountains, 11 of the 185 lakes in the SalzburgerLand region offer up the perfect platform for sailing and surfing. The ideal wind and weather conditions ensure that you’re never without the wind in your sails. Beginners take to sailing easily and the many sailing schools guarantee that they have fun whilst learning, but also learn how to sail safely. No fear if you don’t have your own boat – you can easily hire one out, although you’ll need a special A-license to prove that you can master a boat if the going gets tough. Windsurfers and kite surfers will find the most excellent surfing spots and the many schools will ensure that they don’t blow off course. Here you find a selection of sailing schools in SalzburgerLand. SalzburgerLand’s biggest and deepest lake, Wolfgangsee, is incredibly popular for sailing, especially during periods of cold front and föhn produced by the north-west and south wind. It looks back on a long tradition of the sailing sport and is home to, amongst numerous others, Austria’s oldest yacht club, the UYC Wolfgangsee. Optimal westerly wind conditions make the Flachgau lake area the perfect playground for sailors, and the warm Wallersee and the Trummer lakes also make for a water sport’s paradise. You can let off steam to your heart’s content sailing, surfing and kite surfing on Lake Zell whilst surrounded by mountains and with a panoramic view of the Kitzsteinhorn glacier. Kick off your shoes and throw your line into crystal-clear waters. Wait patiently for the right moment and pull out your prized catch. Whether you fish for relaxation or sport, there are countless of opportunities to fish in this region. Professional fishermen are at work here every day to ensure that there are the highest-quality fish – products to fill the menus of the restaurants and market stalls in town. 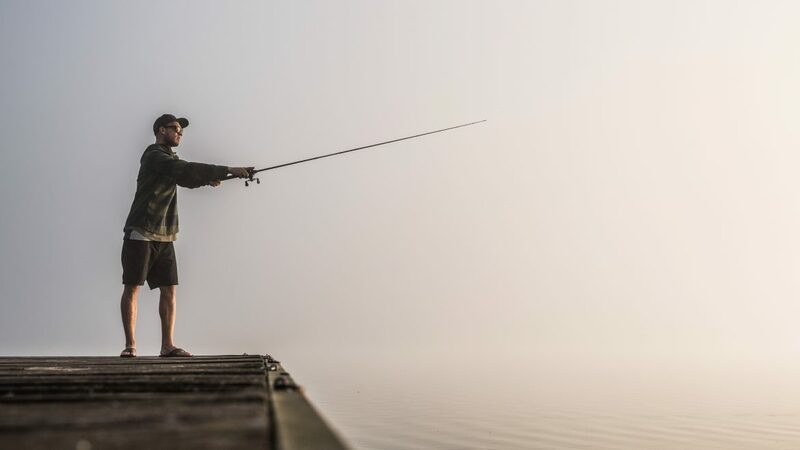 From the large lakes of the Alpine foothills to smaller mountain streams, from Lake Saalach to the Lammer River, around 90 fishable waters in SalzburgerLand invite you to come here to fish for pike, grayling, char, rainbow and brown trout. More information on fishing in SalzbugerLand, including information on the water, fishing season, territorial boundaries etc. can be found in our brochure, Petri Heil (“all hail Saint Peter”), which you can order in our Shop. With the SalzburgerLand Card you can get fantastic discounts on many of the above adventures, ensuring that you save money and have fun at the same time! Find current deals for many of the activities listed at SalzburgerLand Adventures.